This Mother’s Day, I’m writing to you from one mother to another. You just announced your “Be Best” initiative for children’s well-being, explaining how adults should be best at helping children feel safe — and I couldn’t agree more. Like you, I also have a 12 year old son. His name is Simon, and he has complex medical needs and disabilities — and for the last several months he and I have been visiting Washington D.C. to advocate for his well-being. 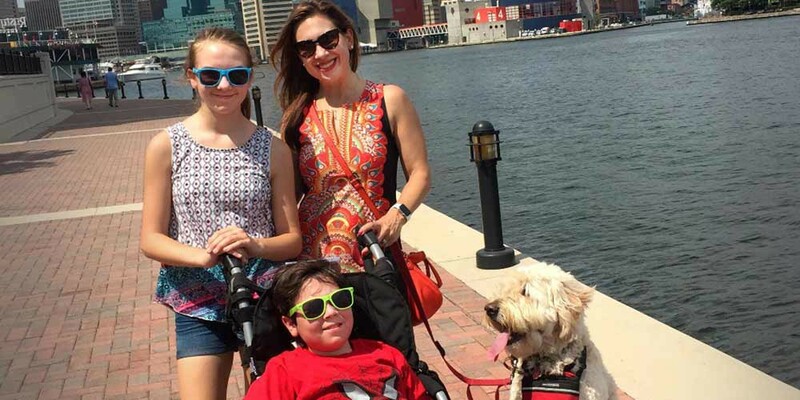 We visit D.C. with the Little Lobbyists: a group of families created by moms like us, smart women devoted to their children. They formed in response to their kid’s access to health care being endangered by the first “repeal and replace” bill. Since then, we’ve visited the Capitol with our kids because we know they will be best at educating legislators about their needs. Although our kids use wheelchairs, oxygen tanks, and feeding tubes — they’re just kids. They like to go to school and love to play. Like all kids, our children need their government to protect their access to health care, education, and their community. Like all parents, we love our kids and will do whatever it takes to care for them. Truthfully, our government hasn’t always been best at this. Medicaid expansion, a lifeline for kids like mine, hasn’t gone far enough (my son’s been on a waitlist for seven years) and some states never expanded it at all. Health care and pharmaceutical costs continue to soar, and discriminatory policies against people with disabilities abound. But, before this administration, things were going in the right direction. And with the passage of the ACA, families like mine had reason to believe the future would be better for our kids. But now, we’re more afraid than ever before. A constant barrage of actions, bills, and executive orders have weakened the protections of the ACA, proposed cuts to Medicaid, threatened the ADA, and rescinded special education guidance. Our children’s lives are under siege by their own government — and frankly, it’s terrifying. My son Simon was a patient at the Children’s Inn when you visited. His schedule was full of appointments, but the staff offered to rearrange things and I declined. Partly because the appointments were important, and partly because I was suspicious about the reason behind your visit. Even though I wanted to ask you so many questions, I knew I couldn’t. And after months of fearing for my child’s access to health care, I wasn’t okay being used for a feel-good photo op. Later, when I saw the photos from the visit, I noticed your smile seemed genuine and your manner seemed kind when interacting with kids like mine with illnesses and disabilities. Maybe I should’ve given you the benefit of the doubt. I wondered what you were thinking. I believe you meant what you said when you introduced “Be Best.” We must protect “the most valuable and fragile among us, our children.” I want your words to give me hope, but I am still afraid. The same afternoon as your announcement, the administration introduced a proposal to cut children’s health care and a policy to take kids away from asylum-seeking parents. Melania, our children are in danger. We need someone close to the administration to speak against policies that harm children and advocate for their needs. I know it won’t be easy — I’ve been at it for 12 years. But I also know that if you meant what you said and do your best to act, moms like me will always have your back and you will always have our gratitude. It would be best to have a mom on the inside, speaking our truth to power. Melania, I believe that mom is you.